Here is a batch of photographs you may be interested in. I should have some older ones but can’t find them at the moment. Sorry it has taken so long. I have had an eyelash operation on my one good eye – not very pleasant. I’m enclosing a little piece about my father. Hope it helps. 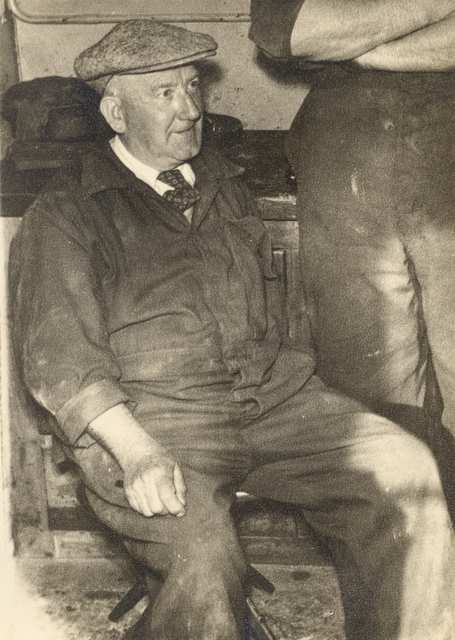 Arthur's father, Hugh Unwin, was born in 1859 in Norton in the Moors, Staffordshire, a village a few miles outside of Stoke on Trent. 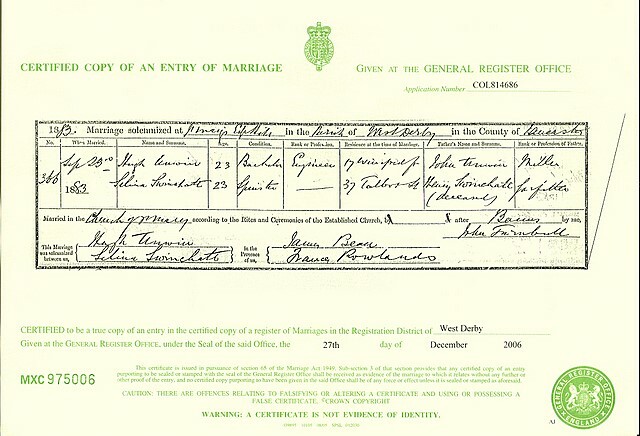 He married Selina Swinchatt at St Mary's Church, West Derby, Liverpool in September 1883. 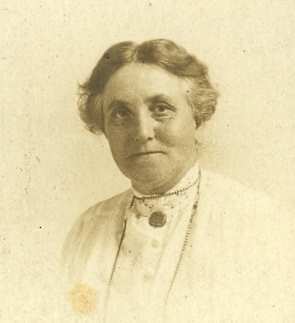 Her family had been market gardeners in the Wallasey area of Cheshire, although her father, Henry, had died only a few years after she was born. 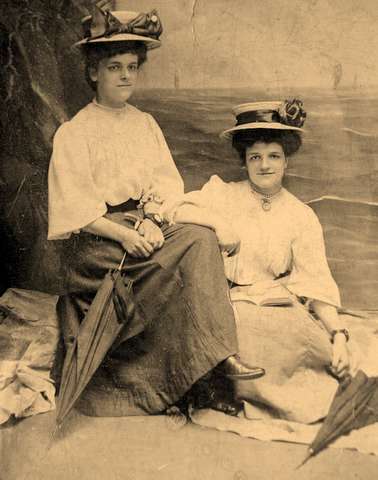 After his death, her mother had undertaken work as a charwoman in Liverpool. 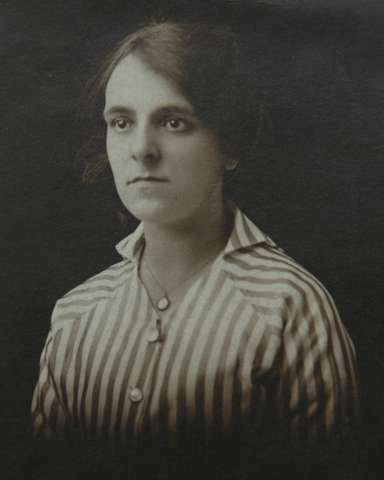 She died in 1904, an inmate of the West Derby Workhouse. 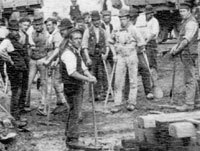 Between 1887 and 1894 Hugh worked on the building of the Manchester Ship Canal and upon its completion, he obtained a job as the driver of a big crane. 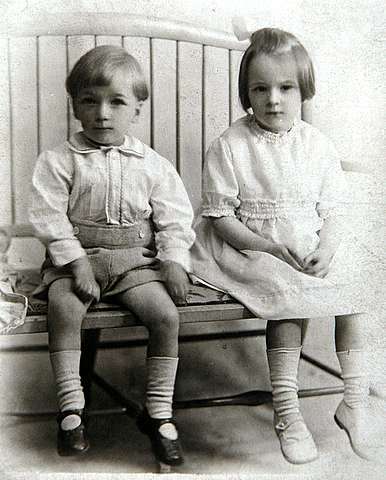 Arthur Unwin was the third child and second son of Hugh and Selina Unwin. 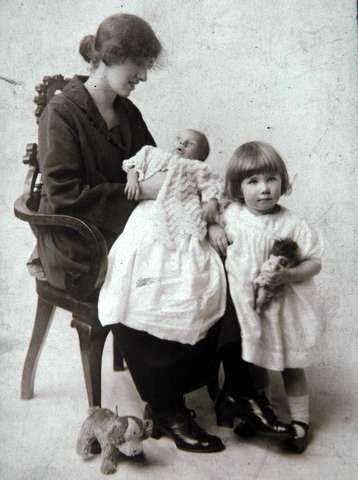 The other children were Henry (Harry), Eleanor and Albert. 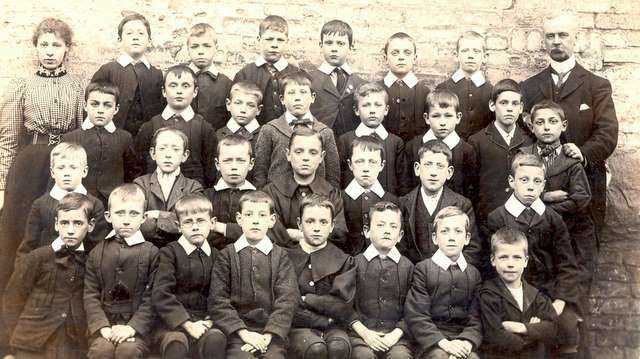 In their early days, they attended the Parish Church School in Eccles. 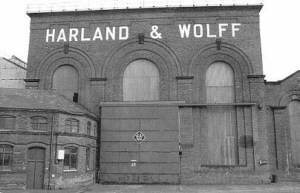 Arthur and his younger brother went to Salford Technical School for engineering. (The school was founded in 1896 and gained its Royal Charter and full University status in 1967). He was a bit of a rover in his younger days and worked in many places. He went to work in the shipyards in Belfast and was always in trouble for making friends with Catholics. Father said that he didn’t ask what religion they were before speaking to people. 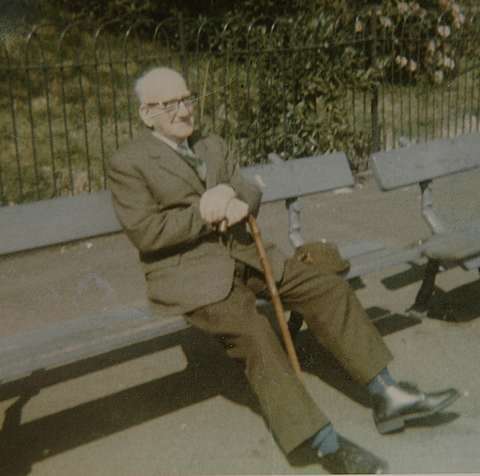 When told he would have to join Carson’s Army (footnote [B]) he left and went to work at Barrow in Furness in Cumbria. 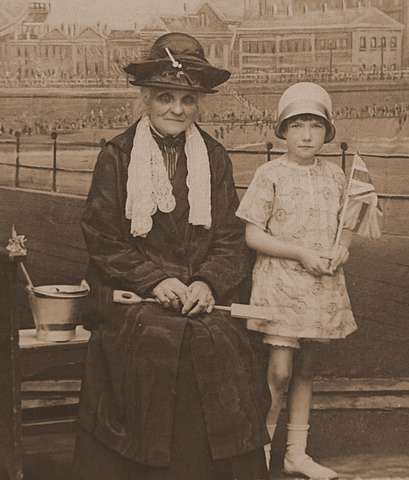 It was there that he met mother who was on holiday at Blackpool with Auntie Betty. 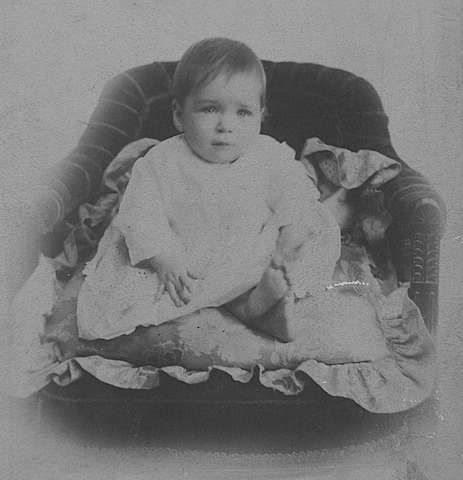 He eventually went to work at Manchester Docks and after he and mother were married (in Leicester in the spring of 1917) they settled in a suburb of Eccles called Patricroft where Jack and I were born. 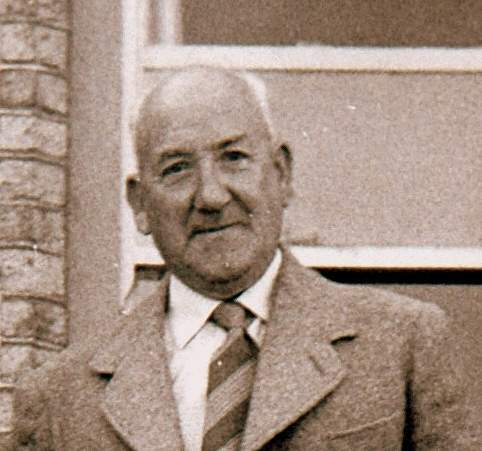 He worked at the docks for many years but left for some reason during the war and had various jobs before falling on his feet and going in his early 50s to work for Griffiths Hughes, Manufacturing Chemists (footnote [C]), making in those days Krushen Salts (footnote [D]) and many other products. He eventually retired about 70 and received from them a good pension. It was the first time he had holidays with pay and he made full use of the fortnight. He lived to be 97 and only died of old age! Quite a character, my Dad!! The following is a sample of the photographs Eva referred to above. 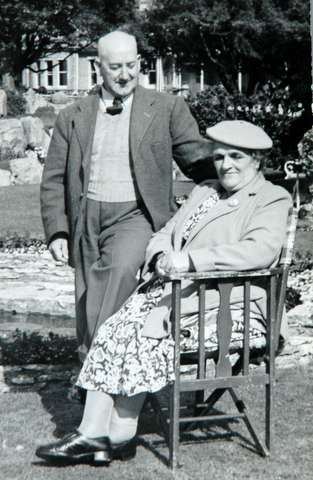 Eva's Grandmother, Elizabeth Burditt, married Walter Cook and lived in Leicester. 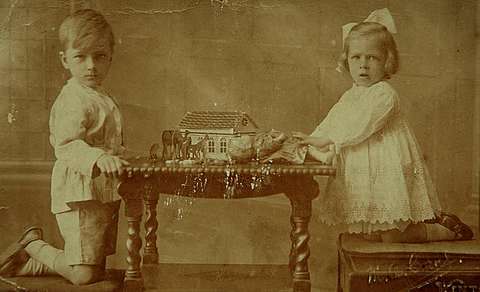 They had one son (George - Alan and Brenda's grandfather) and four daughters (Jesse, May Ann or Polly, Ada Anne - or Annie, and Elizabeth). 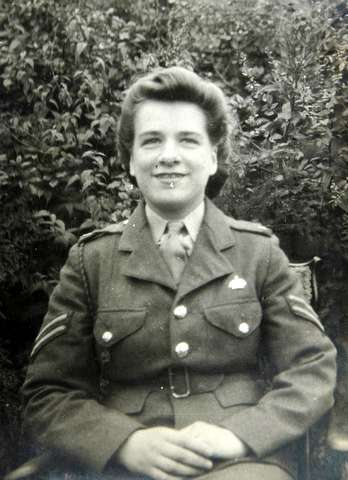 They also took in Nellie Youle who subsequently married Roy Dible and had a son (Fred) and a daughter (Hilda). Jesse married Elijah Benson. 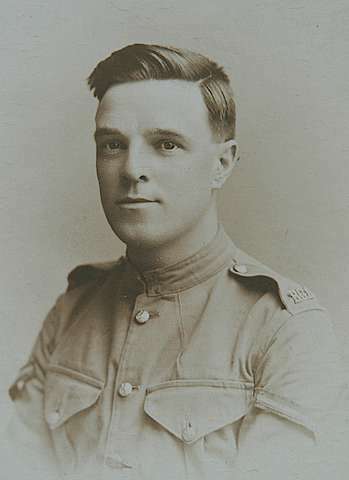 George served in Malta during the first world war. He had a daughter, Hilda. 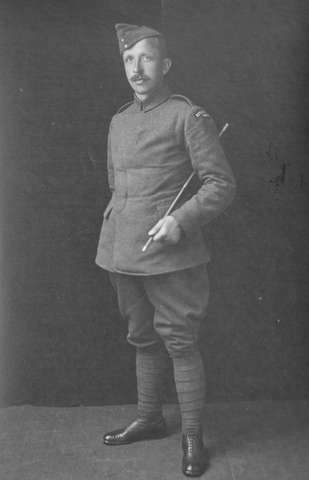 Frank Unwin was one of two sons born to Albert, Arthur Unwin's brother. 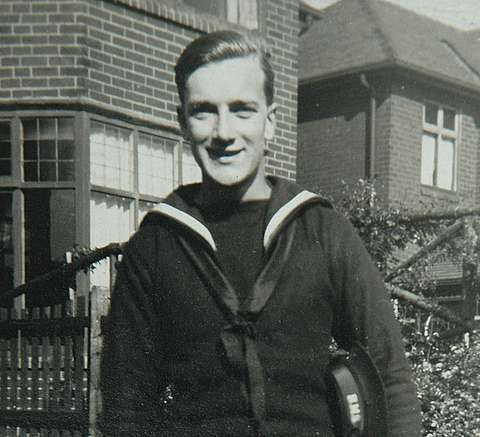 Frank's older brother Albert was born in 1918 and died in Withington, Manchester, in 1998. 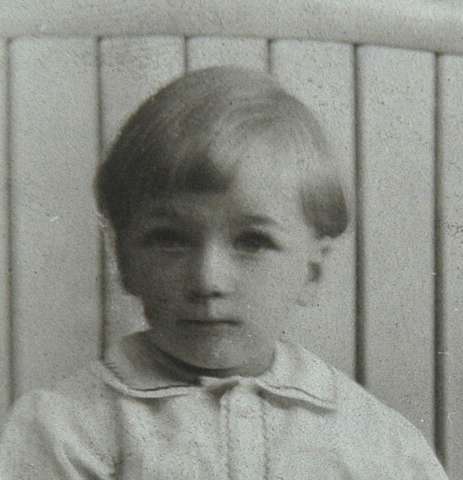 Frank was born in 1924. He died on February 23rd 2008 and was buried at St Nicholas Church, Wetwang, East Yorkshire. 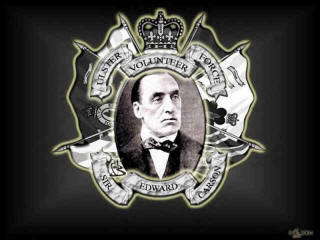 Edward Carson was an Anglo-Irish politician committed to the preservation of the union of Ireland with Great Britain. He was elected to Parliament in 1892 and became Solicitor General in the Conservative administration between 1900 and 1905. He organised a private army "The Ulster Volunteers" in 1912 in direct opposition to the Home Rule Bill, threatening that Ulster would establish its own provisional government. It was at his insistence that the North of Ireland including the counties of Fermanagh and Tyrone (remained under the British Crown when southern Ireland gained Home Rulew. 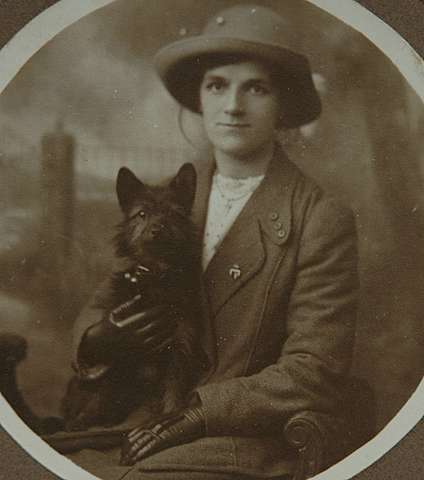 He continued to campaign for Ulster interests after the First world war. He was knighted and ultimately made a Baron. In 1851 Ernst Schering, a qualified dispensing chemist, opened a pharmacy in Chausseestrassesin the north of Berlin. In what he named the 'Green Pharmacy' he started making his own chemicals, making it his policy only to sell items of the highest possible purity. In 1925 a British subsidiary, Schering Limited, was founded which during the war years was taken over by the Board of Trade. In 1941 it was taken over by Griffiths Hughes Limited, and continued to trade Schering products under the name British Schering Limited. By 1967 the Company had reacquired the name Schering AG in the UK, and the Company as a whole was trading under the name Schering Chemicals with interests in pharmaceuticals, electroplating and industrial chemicals. The Company has been known as Schering Health Care Limited since 1987. This product is still available. According to a recent pharmacy catalogue, Kruschen is described as an excellent aperient and diuretic, helping to maintain the balanced salt content of body fluid and body cells, which is so important for healthy and normal functioning. It is indicated for constipation associated with sluggish liver and rheumatism and for sick headache, dizziness and indigestion due to constipation. Some years ago it was claimed to have weight reducing properties. The Diamond Jubilee edition of the Oxford Dictionary of Quotations (2001) (2) notes that the slogan for Kruschen salts, ”that Kruschen feeling”, became a catchphrase of the 1920s to indicate a feeling of vigorous health.